coming into force on the enterprises/establishments that submit late the worker list, contribution payment procedure (Form 2.01), payroll ledger, and contribution payment to the National Social Security Fund. Notification No. 13/09 NSSF, dated 08 December 2009, on the Beneficiaries of Victim are not entitled to have the benefits from NSSF without sufficient documents. Notification No. 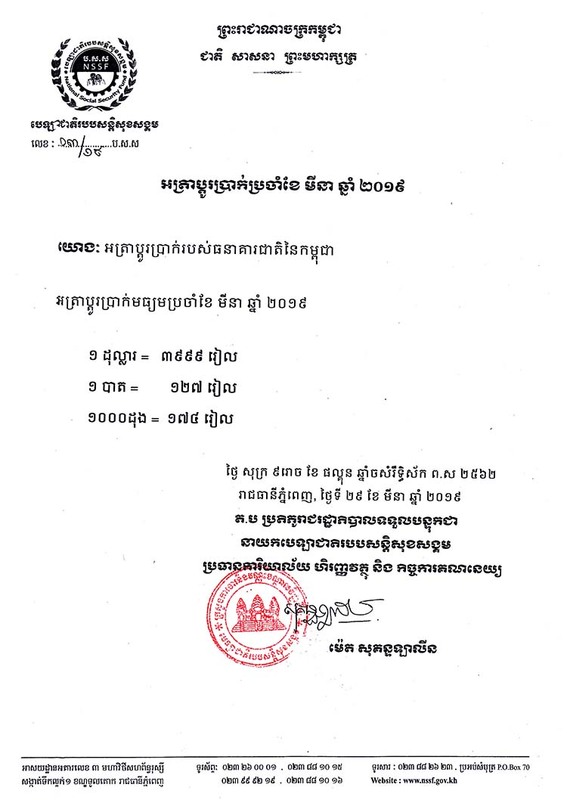 08/14 NSSF, dated 20 November 2014, on the Provision of E-Form Unicode in place of E-Form Khmer Limon. 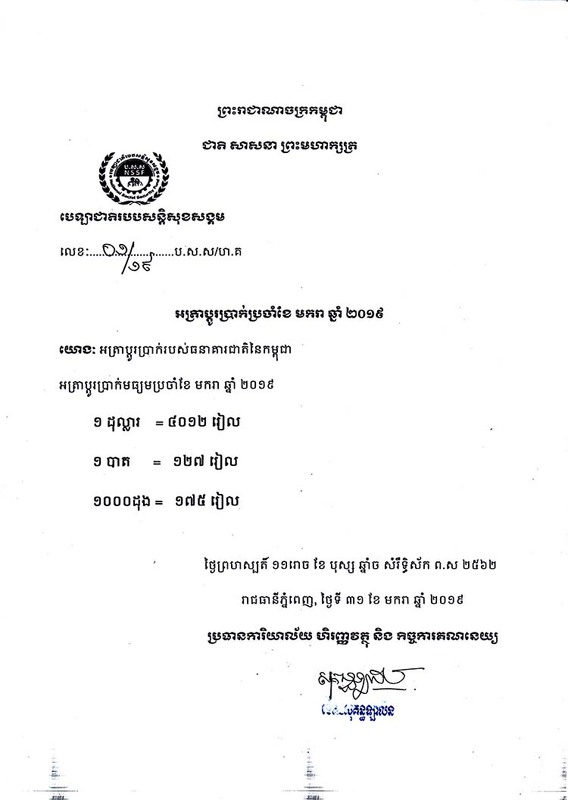 Notification on the Procedure of Contribution Payment.